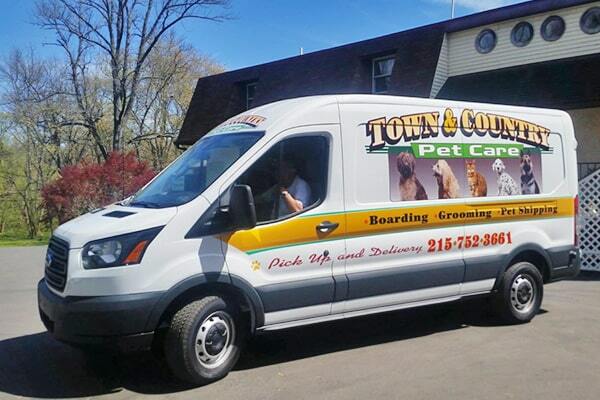 At Town & Country Pet Care Center, we do everything we can to make your busy life easier. That’s why we’ve been offering a pet pick-up and delivery service for more than 25 years! Our federally-licensed transport specialists will be your pet’s personal chauffeurs, providing a safe & comfortable ride wherever they’re headed. Whether your pet needs a lift to our doggie daycare, or needs to be safely sent overseas to join your family, we’re here to help.